These Crack Chicken Sandwiches, made it the crockpot, combine creamy cheese, flavorful Ranch, and moist chicken breast. Everyone is talking about the crack chicken recipe sandwich. A girlfriend told me that they were an easy, delicious crockpot meal. 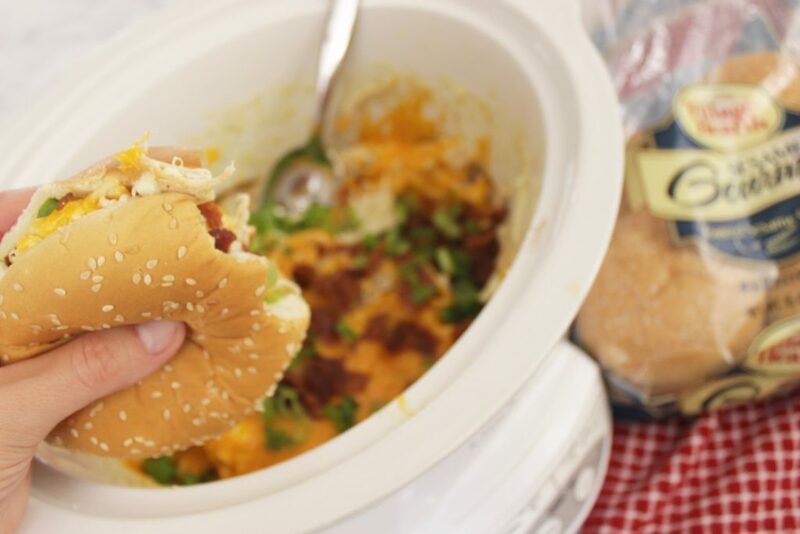 When I heard the word easy, delicious, and crockpot, I was sold. 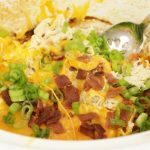 Immediately, I went on a mission to combine all of my favorite flavors with what I’d heard the Crack Chicken Crockpot Sandwich included. Layer the chicken breasts in the bottom of the crock pot. Next, place your cream cheese on top of the chicken. When it gets warm it will spread just a bit but eventually you’ll be mixing it all together with your hand mixer, so no worries that it’s just set on top. Sprinkle with the Hidden Valley ranch seasoning packet. I use my hand mixer for mixing crack chicken. Since it’s hot and moist, the chicken shreds perfectly and I don’t need to dirty a separate bowl. However, if you’re worried about scratching your crock pot, I would definitely remove it into a different bowl before using the mixer in it, or use two forks instead. A hand mixer like this is perfect and reasonably priced. We don’t need any fancy tools for this recipe! 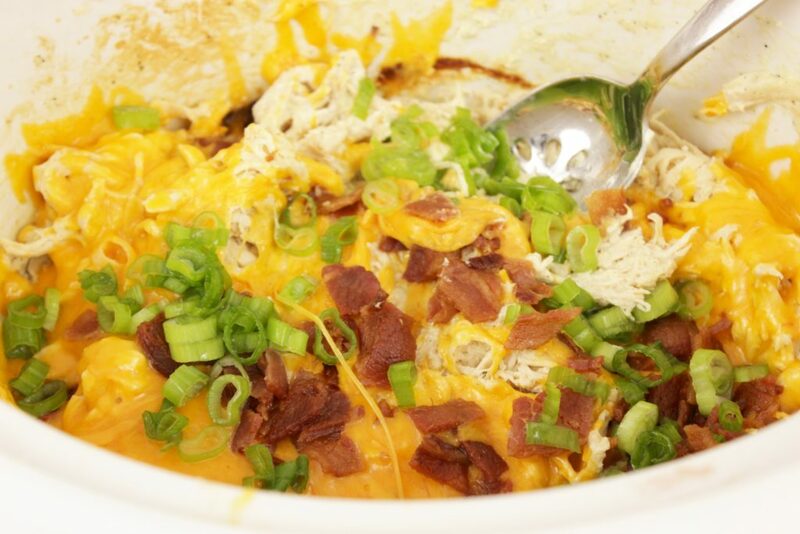 Once you’ve shredded the chicken breast, sprinkle the cheese on top, then the bacon. Put the crock pot lid back on for about 15 more minutes or just until the cheese is melted, and lastly add the scallions. There you have it, awesome crack chicken in a crockpot sandwiches! 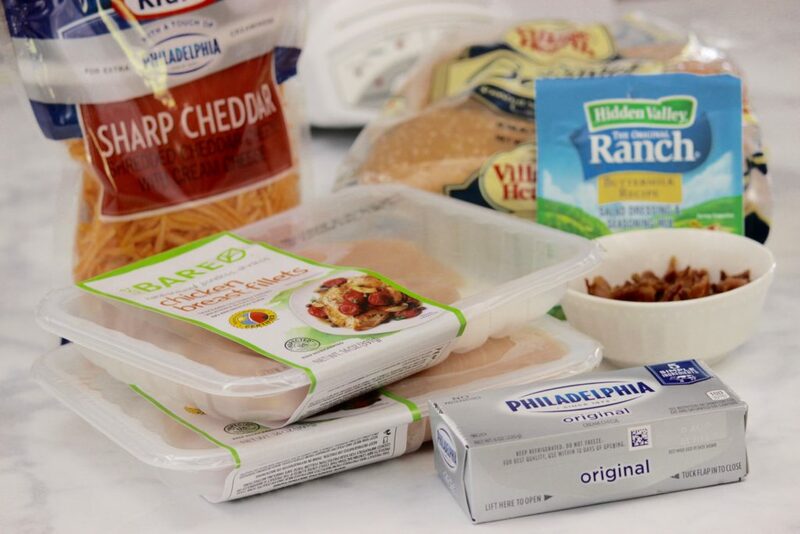 These are AWESOME for busy nights where you need a quick meal to serve and get out the door. Enjoy! Next, place your cream cheese on top of the chicken. When it gets warm it will spread just a bit but eventually you'll be mixing it all together with your hand mixer, so no worries that it's just set on top. I use my hand mixer for mixing crack chicken. Since it's hot and moist, the chicken shreds perfectly and I don't need to dirty a separate bowl. However, if you're worried about scratching your crock pot, I would definitely remove it into a different bowl before using the mixer in it, or use two forks instead. A hand mixer like this is perfect and reasonably priced. We don't need any fancy tools for this recipe! Once you've shredded the chicken breast, sprinkle the cheese on top, then the bacon. Have you ever made crack chicken? 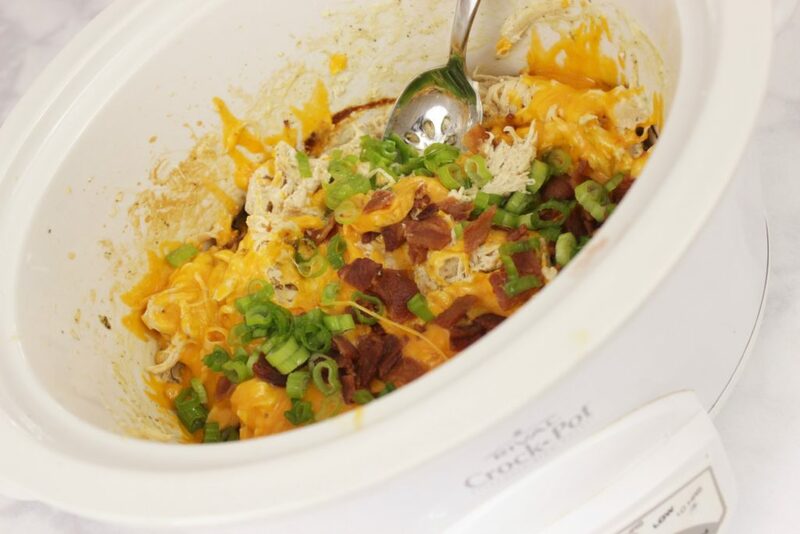 Try this easy to make Crockpot Crack Chicken Pasta, too!